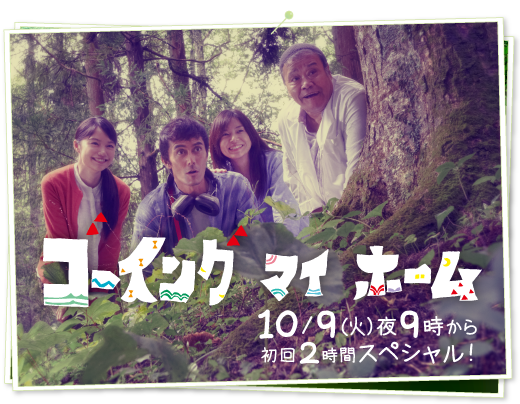 Ryota Tsuboi (Hiroshi Abe) is a producer for a CM production company. His wife Sae (Tomoko Yamaguchi) is a food stylist. She is also enthusiastic about her daughter Moe's education and her work. Their only child Moe is affectionately called "furodo," because she claims to see a fairy. Meanwhile, Ryota has a timid personality and, because of this, has difficulties fitting in at home and work. Ryota then learns that his estranged father has collapsed. Ryota's father lives out in Nagano. People there also believe that the fairy Kuna really exists. Ryota goes to Nagano to see his father. There he has a strange meeting.